Who’s who in the zoo? You can get all that info here. We’re a growing organisation, and there’s always place for interested people to step up and volunteer – so if you see a portfolio below that you think you could add value to, get in touch with them, thanks! Management of our airstrip on site in Tankwa Town, and the airspace above it. Nikolaas Kopfer, Glen Wilson and Jacqui Middlewick. Elandsvlei School, Cart Horse Protection Association, Pedals for Peace. 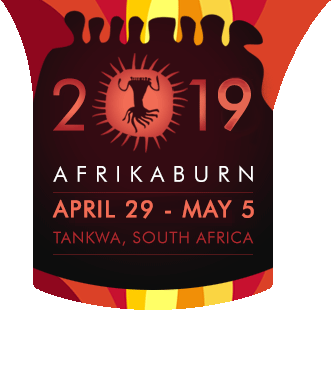 Rangers are members of the AfrikaBurn community that volunteer their time and skills to ensure the well-being of participants at AfrikaBurn and affiliated events.